Economical, concentrated formula makes up to 64 gallons of cleaner. Kills Staph, Strep, Salmonella and other harmful germs on hard, nonporous surfaces. 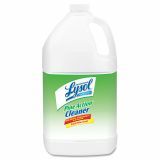 Professional LYSOL Brand Disinfectant Pine Action Cleaner, 1gal Bottle - Professional Lysol Pine Action Cleaner kills staph, pseudomonas and other harmful germs on hard nonporous surfaces. Cleaner can be used for a variety of needs to clean, disinfect and deodorize. Use on floors, sinks, bathtubs, shower stalls, garbage pails, woodwork, glazed tile, walls and countertop. Pine fragrance features pine oil for long-lasting pleasant scent. 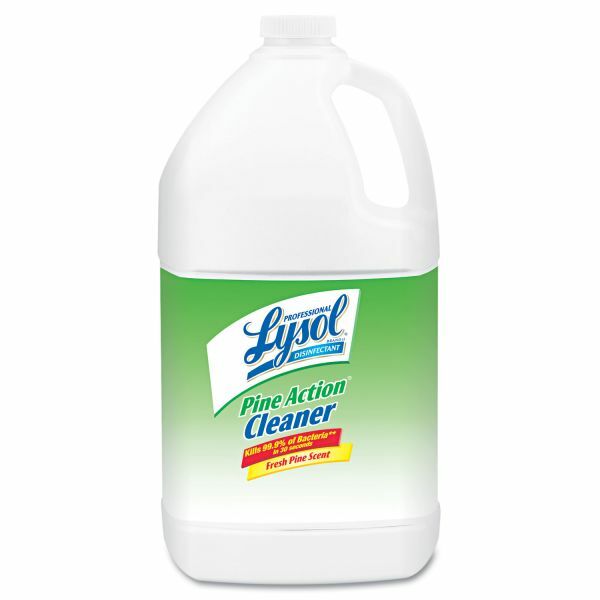 Concentrated cleaner makes up to 64 gallons (1:64 dilution ratio). Use on floors, sinks, bathtubs, shower stalls, garbage pails, woodwork, glazed tiles, walls and countertops.